JNN 04 Feb 2014 Manama : A Bahraini court shuttered a Shia Muslim clerics’ council on Wednesday, after the authorities in the Wahabi-ruled kingdom accused it of politicization and illegal operations. The court ordered the closure of the Olamaa Islamic Council and the liquidation of its assets in response to a lawsuit by the Ministry of Justice, Islamic Affairs and Endowment, a judicial source said. 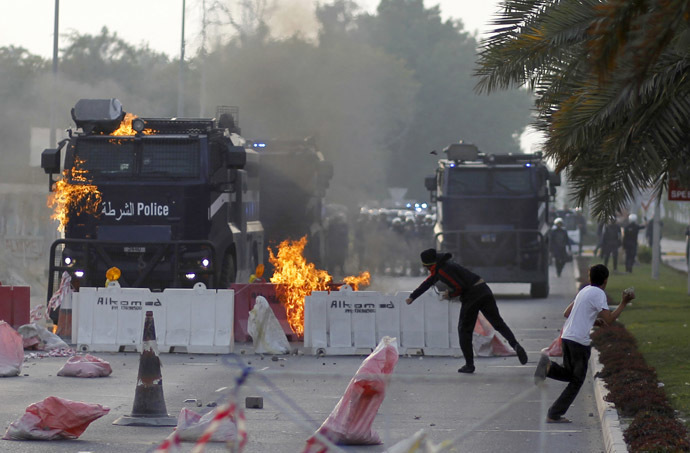 The verdict came as the authorities continue the crackdown on opposition protests by the Shias, who make up the majority of the population in the Persian Gulf archipelago. The council also “adopted the call for the so-called revolution,” it charged, referring to protests against the government that began in February 2011. Meanwhile, Amnesty International has called on the Bahraini regime to investigate the death of 19-year-old Fadel Abbas Musalem in police custody. According to Press TV, the London-based group said in a statement issued on Tuesday that Musalem was shot in the head when police tried to arrest him as he was visiting a recently freed prisoner in Markh, a village near the capital Manama. In Bahrain, which is home to the U.S. Fifth Fleet, there are still almost daily demonstrations, mostly outside the capital Manama. At least 89 people have been killed in Bahrain since the protests began, according to the International Federation for Human Rights.